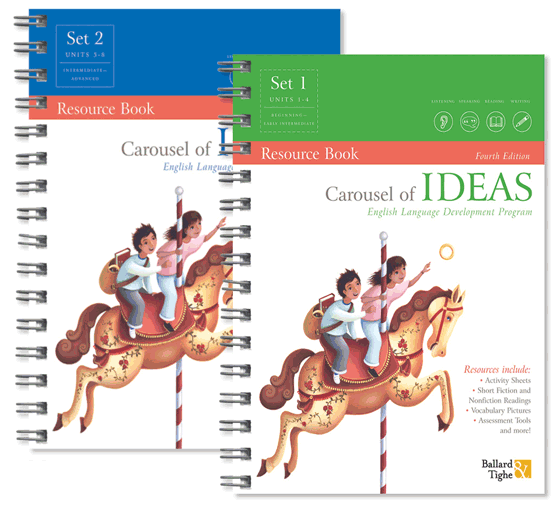 *Each set of Carousel comes with 1 free Class Pack of K-1 Carousel Testers and 1 free Class Pack of 2-5 Carousel Testers. 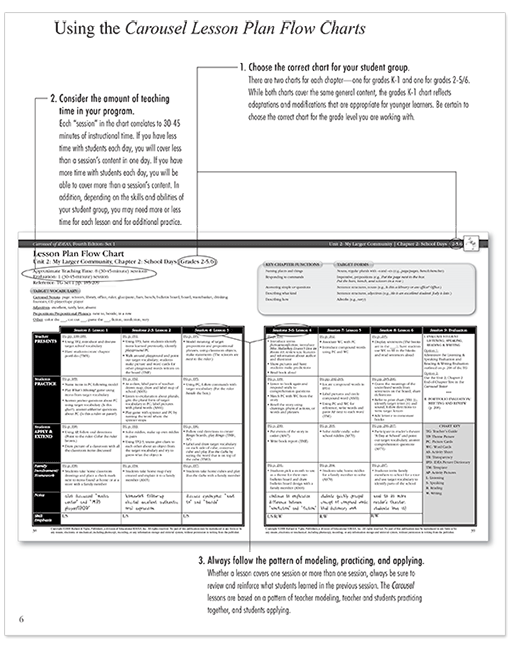 Short summary of each lesson in the Teacher’s Guide provides a pacing guide for lesson planning. 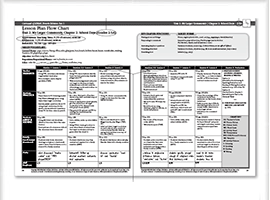 Separate K-1 charts with modifications for younger learners. 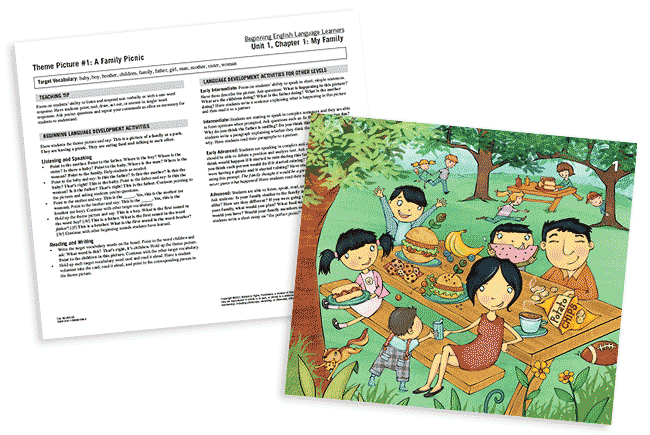 Contains Activity Sheets, Activity Pictures, Templates. 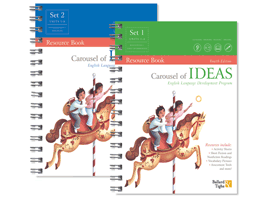 Chapter Tests and Assessment Tools that give students opportunities to practice and apply what they have learned in their Carousel lessons. 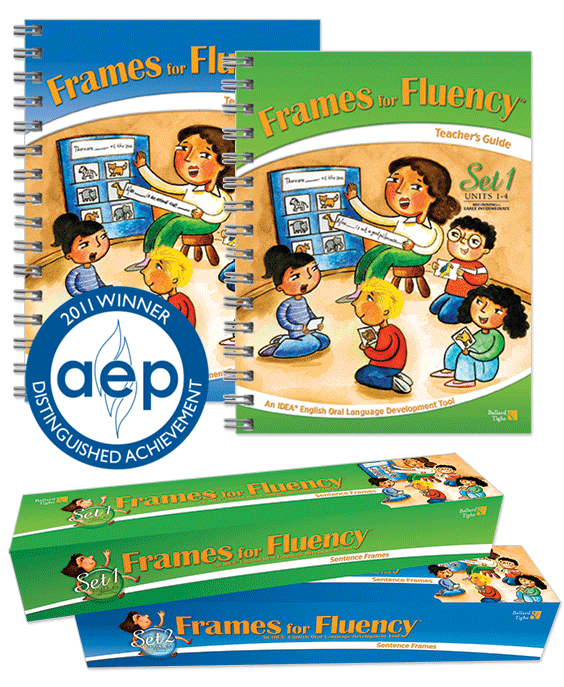 Engaging activities develop students' academic skills and cognitive abilities. Blackline masters in print and online make duplicating resources for the classroom both easy and convenient. 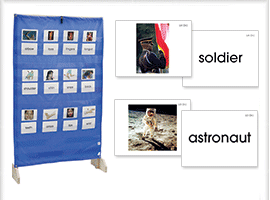 More than 550 full-color picture cards and corresponding word cards (both sets). 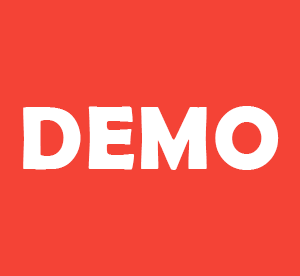 Arranged by topic and language level to make teaching and learning fun and interactive for any language learning setting. 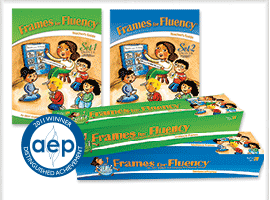 Can be used to supplement any ELD program. 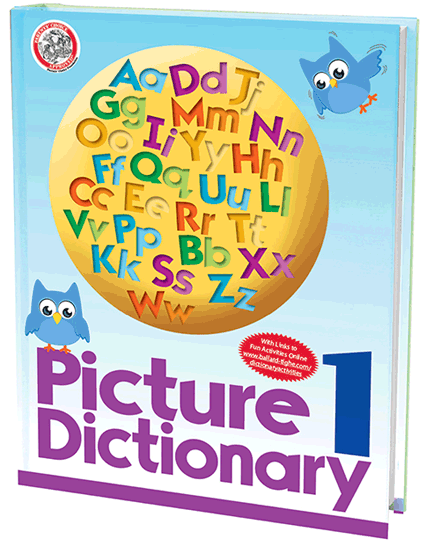 Each set contains 18 full-color theme pictures that bring vocabulary alive and provide an authentic context for language learning. 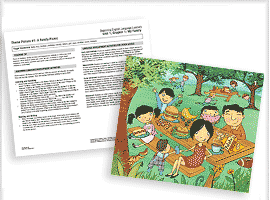 Reverse side of pictures include differentiated activities for reading, writing, listening, and speaking for each language level. 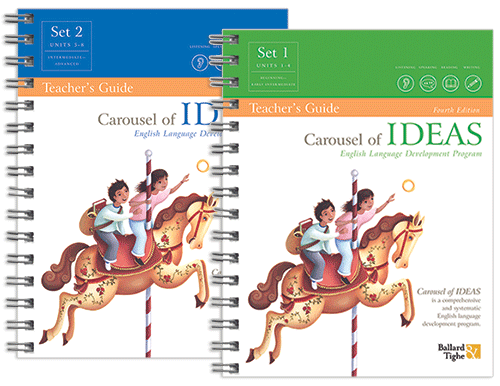 Give teachers the scope and sequence of the Carousel program while tracking individual student progress. 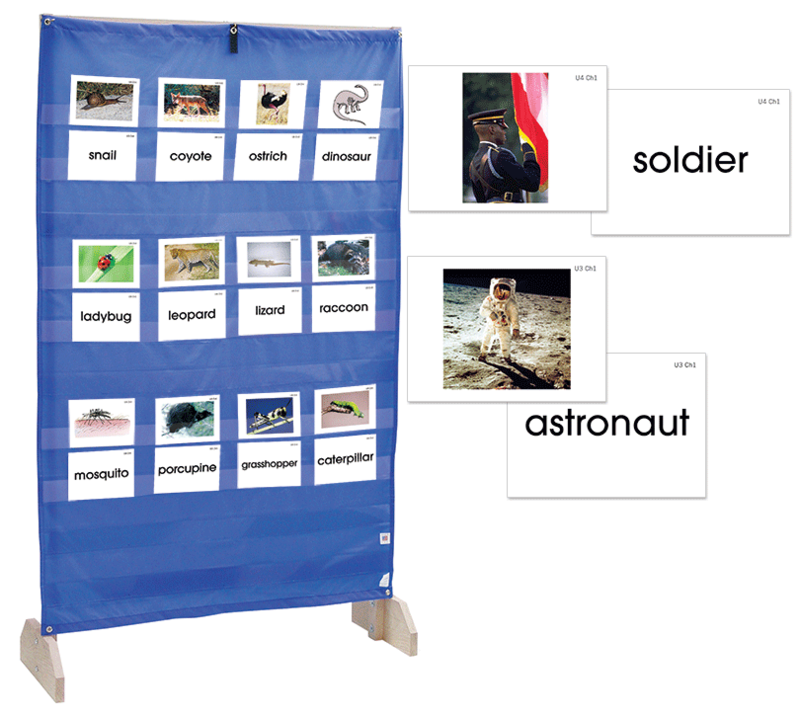 Ready-made sentence frames for oral language development within the Carousel lesson. Visit the web site. 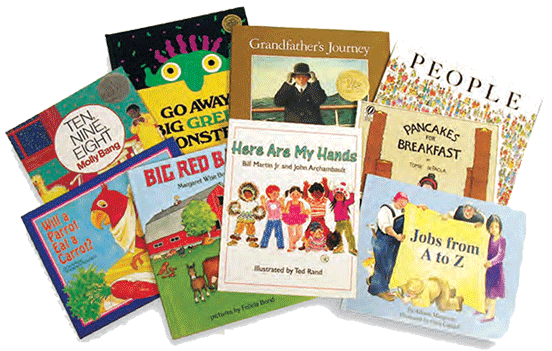 Many award-winning and well-loved titles. 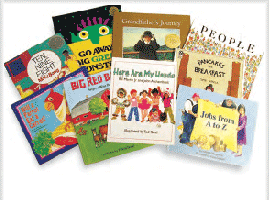 Lesson 4 in every chapter is a literature lesson using one of these books. Unit 1: Grandfather’s Journey; Anno’s Counting Book; Ten, Nine, Eight; Go Away Big Green Monster! Literature book titles and prices subject to change without notice. Collection includes both hardcover and softcover books. 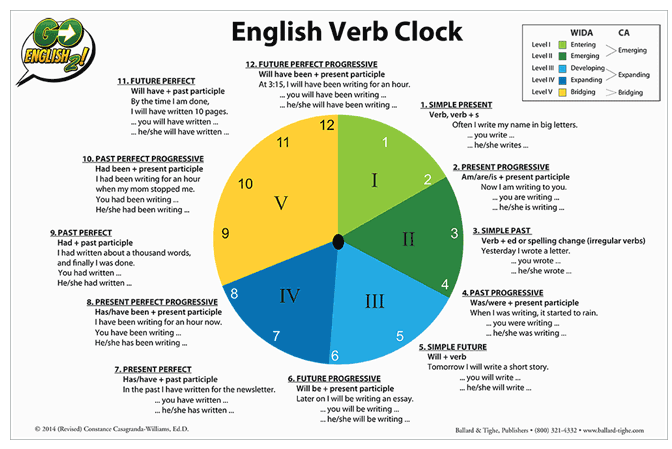 A matrix to exhibit a model sentence for each grammatical form by proficiency level in a functional context. 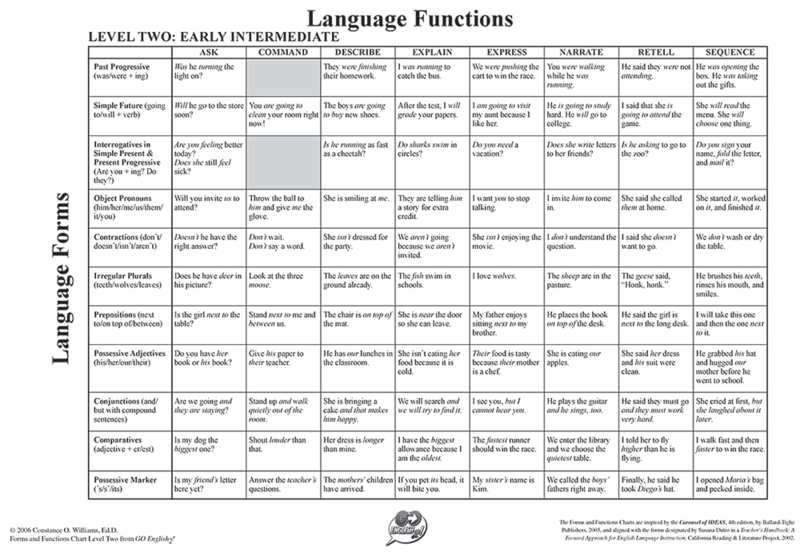 A tool for teachers to access examples of the ways in which the uses of language interrelate with its grammar. Integrated throughout the Carousel chapters to build vocabulary. 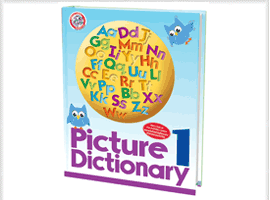 More than 600 basic nouns with colorful pictures in an easy-to-use dictionary format. Fun appendixes, including numbers and prepositions. Appendixes about idioms, U.S. presidents, and other content reference information. 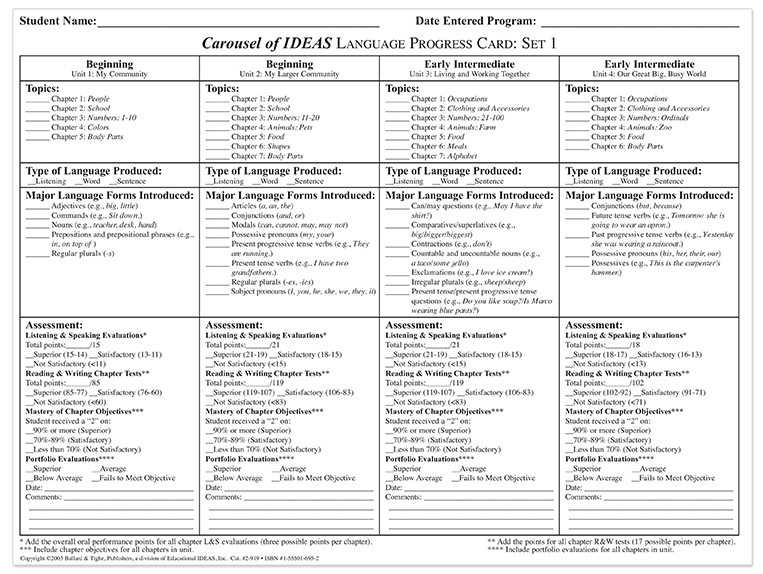 Links to web-based downloadable worksheets. 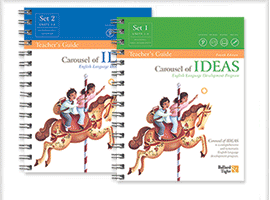 The Carousel Testers are a formal assessment tool designed for grades K-1 and for grades 2-5. 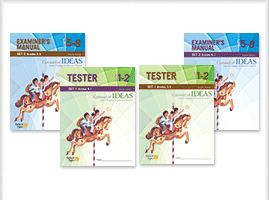 They contain new end-of-chapter tests that reveal how well students have mastered the chapter learning objectives so you can easily identify areas where some students may need more practice. 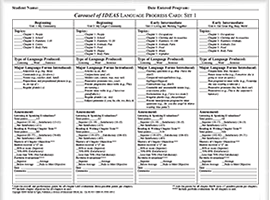 Grades K-1 Testers focus exclusively on listening and speaking skills, including language functions and forms. Grades 2-5 Testers assess listening, speaking, reading, and writing skills and consistently test the language functions and forms presented to students in the chapter. 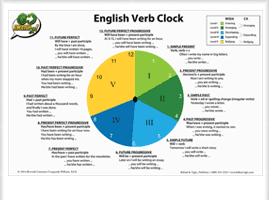 Can be group administered to the entire class; speaking section is individually administered. Contain placement tests to be administered before instruction begins. 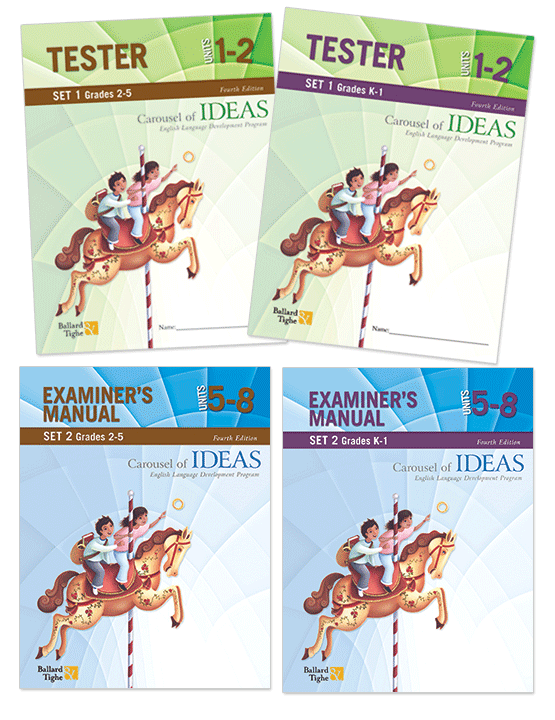 Corresponding Examiner’s Manual contains detailed instructions for administering and scoring. 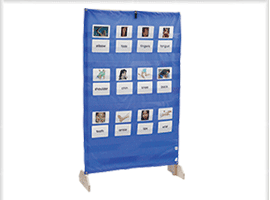 The pocket chart (34"w x 52"h) has 10 plastic pockets to display picture cards, word cards, sentence strips, and more. 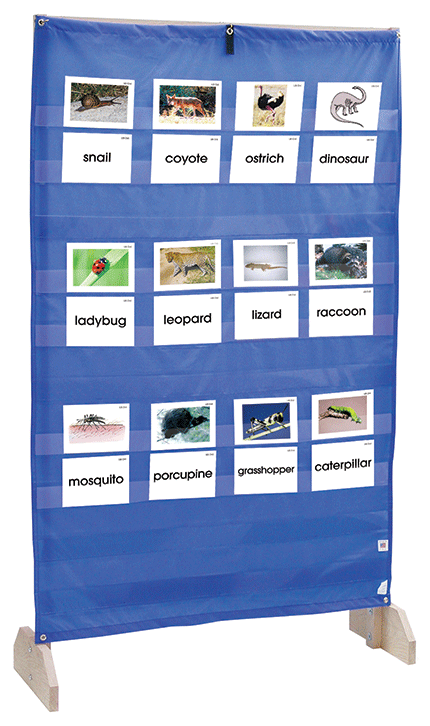 Can be hung from a pocket chart stand or from a wall (pocket chart stand not included).